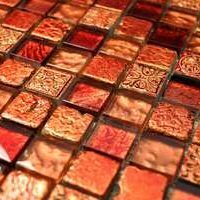 Glass mosaic composed of copper and brown rectangles of different sizes different tones. 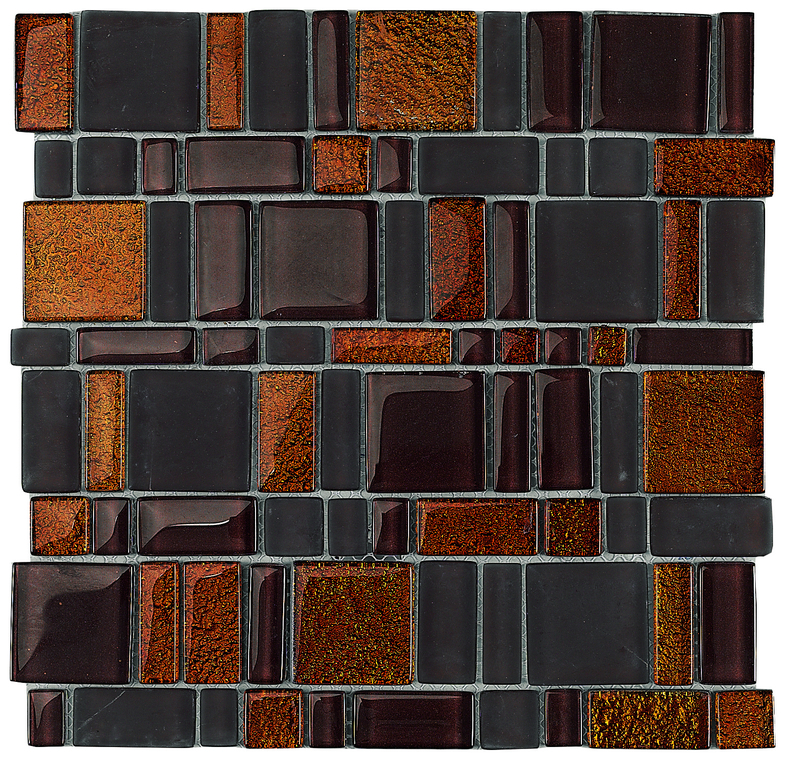 The Bernice mosaic tile is the perfect tile choice for those wanting to bring warmth into a room. Featuring a random mix of brown and copper squares and rectangles, Bernice mosaic will add a contemporary touch to home; especially on a feature wall or kitchen splashback. This mosaic tile is available in a standard size of 29x29cm and is sold per piece. The Bernice mosaic will not go unnoticed. 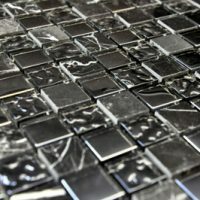 Made from textured glass, it will complement modern interiors and décor or contemporaries dated interiors. It features a special manufacturing technique that allows for minimum maintenance. 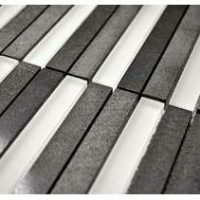 And, it has been designed to offer easy installation with minimum grouting, which allows for a modern finish. The Bernice mosaic tile offers exceptional value for money and is manufactured to the highest standards. Trust this quality product to look great for many years to come. 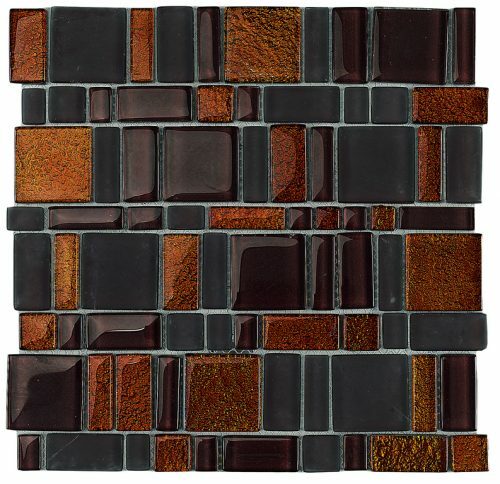 For a stylish glass mosaic tile in Perth, look no further than the Bernice mosaic tile. Buy this contemporary mosaic tile at a very competitive price from our online store today to avail our 14-day money back guarantee!